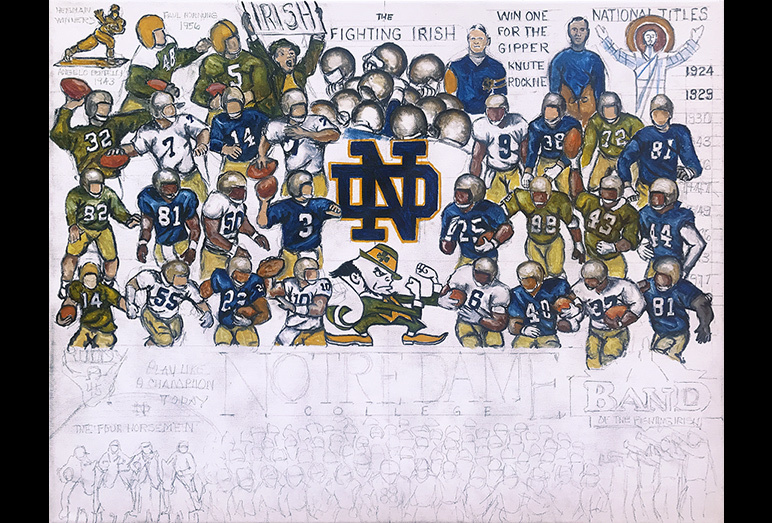 Notre Dame Tribute -- Painting Progression -- Use controls to view all images. 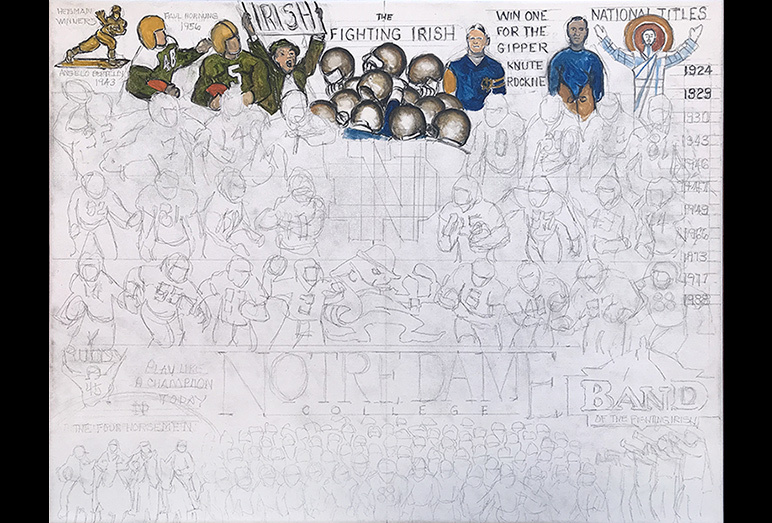 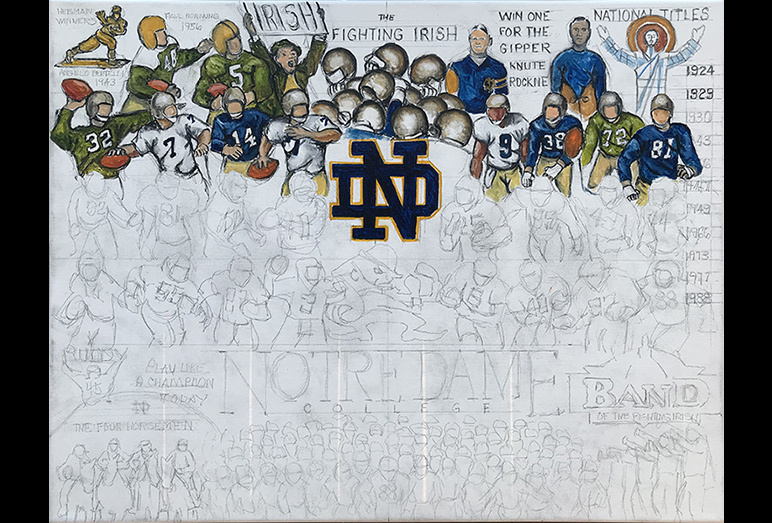 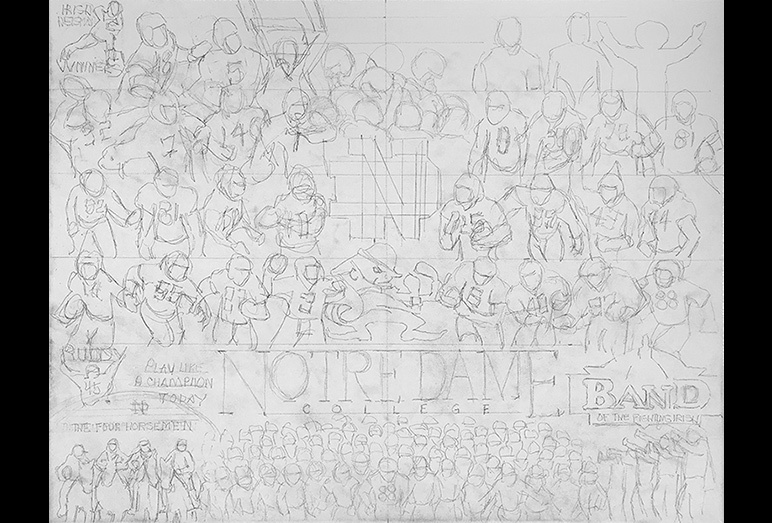 Tom has completed work on a much anticipated Notre Dame Tribute painting. 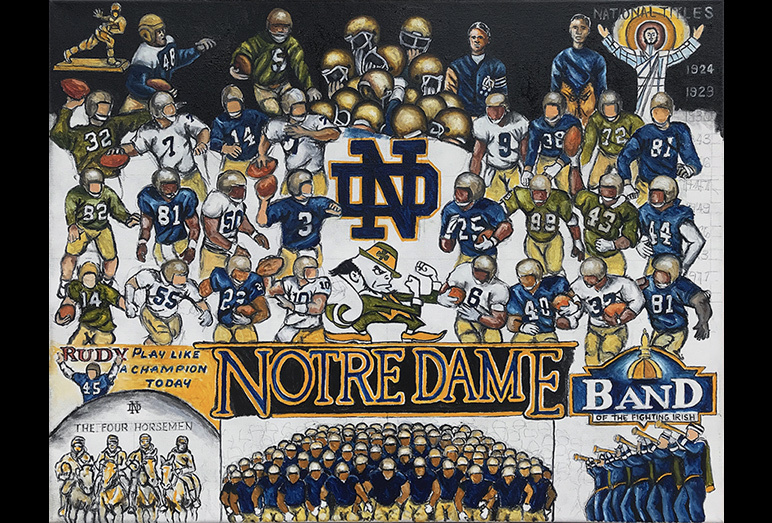 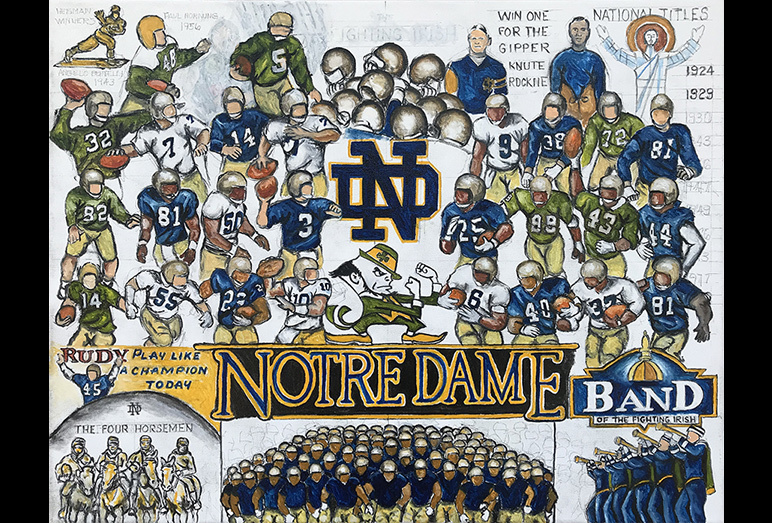 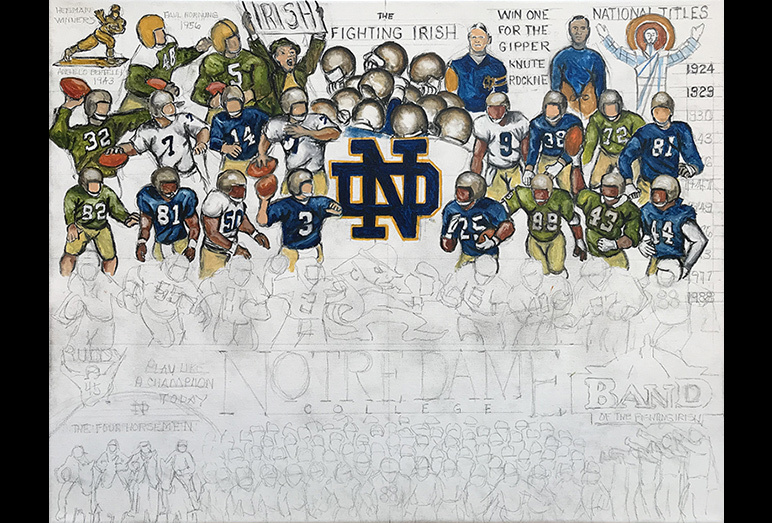 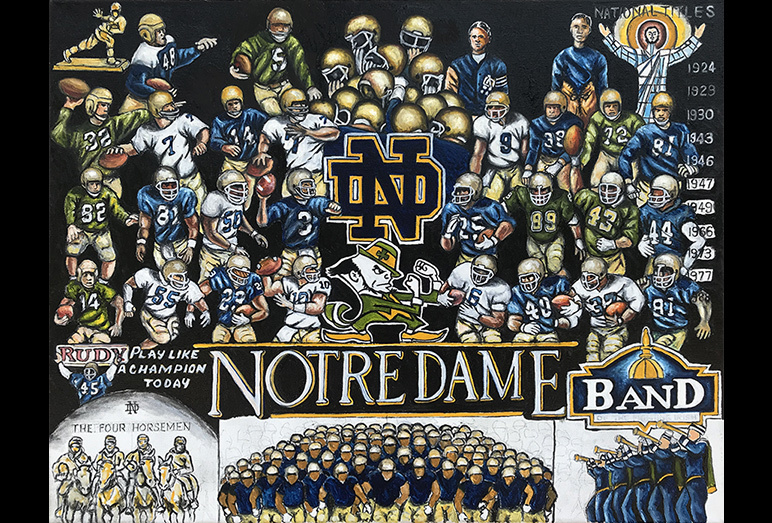 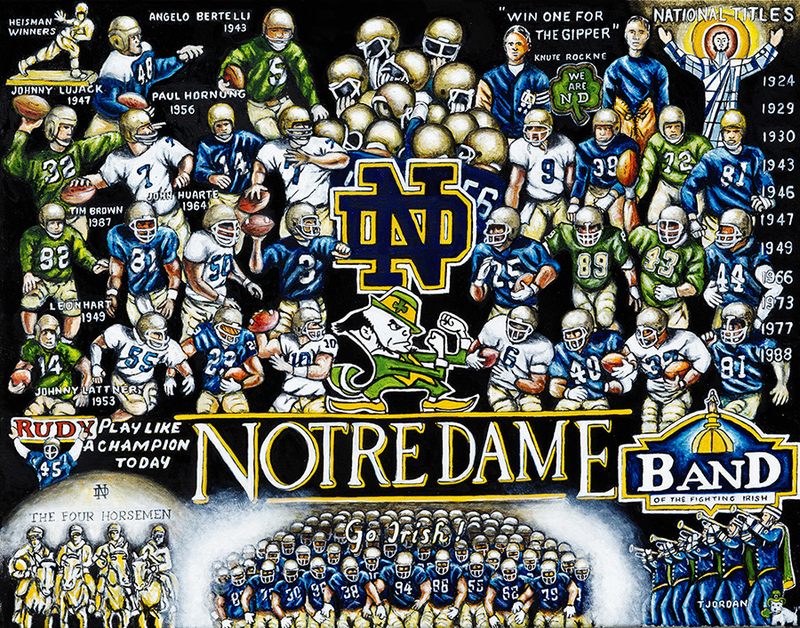 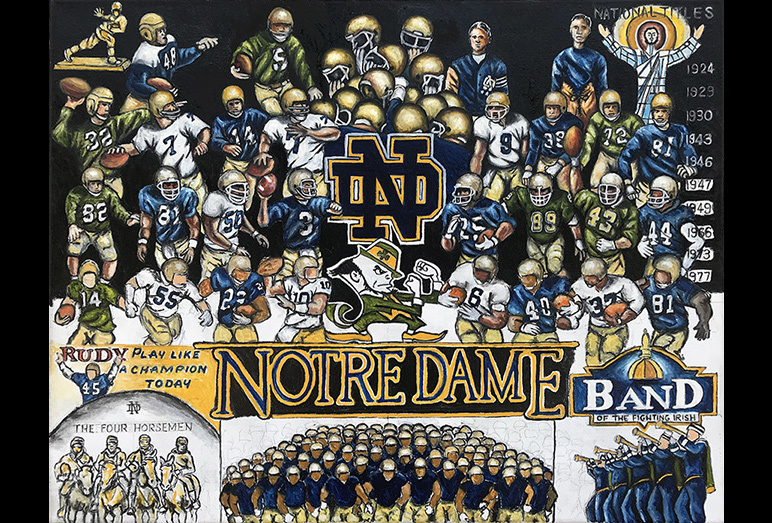 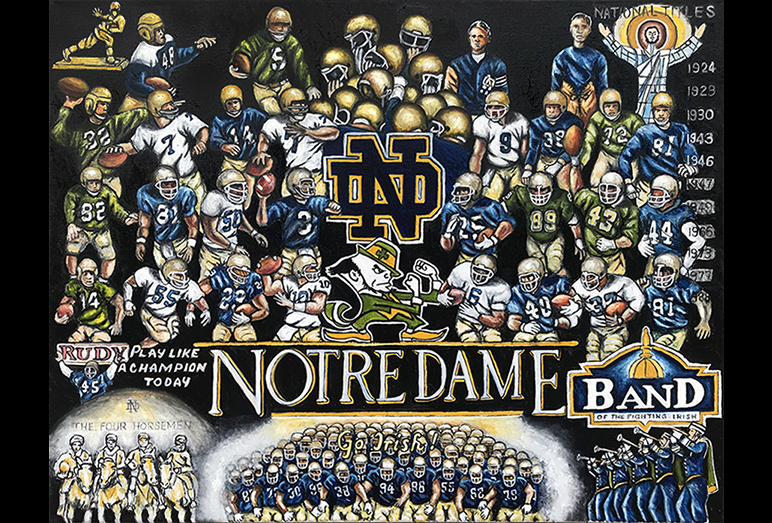 This painting is crazy packed with 28 legends, 29 if you count Rudy, plus a ton of tradition including 7 Heisman winners, 11 National Titles, the band, the Four Horsemen, and more... 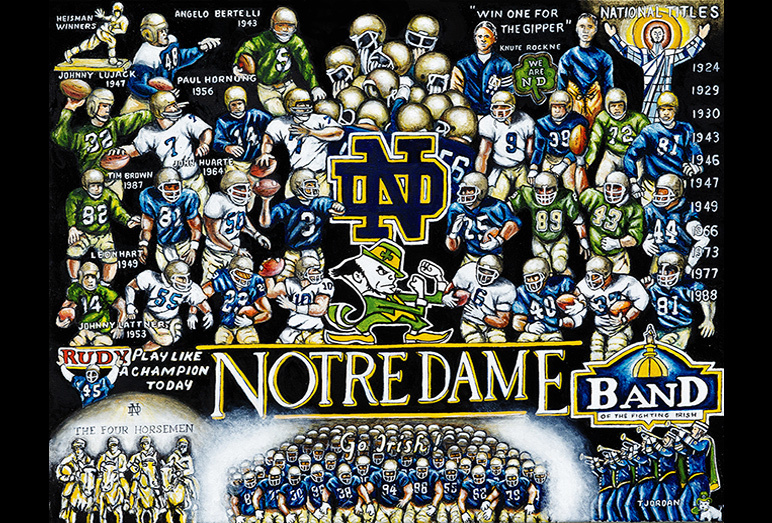 This one is for ALL you Fighting Irish fans!